I am a 16 year old Junior at La Salle College High School. I am raising money to expand a community library that our long-time family friends, the Mshombas, built in Tanzania. Richard Mshomba grew up in Tanzania and came to the U.S. to attend college. He is currently a professor at La Salle University with his PhD in Economics. ​Two years ago, with the help of volunteers in Tanzania, he and his family built a one-room library in his home village of Sinon in Arusha. While this is an incredible achievement, more still needs to be done. I am working with the Mshombas to expand the library and provide more textbooks and laptops. The total budget for this project is $40,000. Their library is only the second public library in a region with 1.7 million people! Throughout my high school years, I have been committed to serving others. 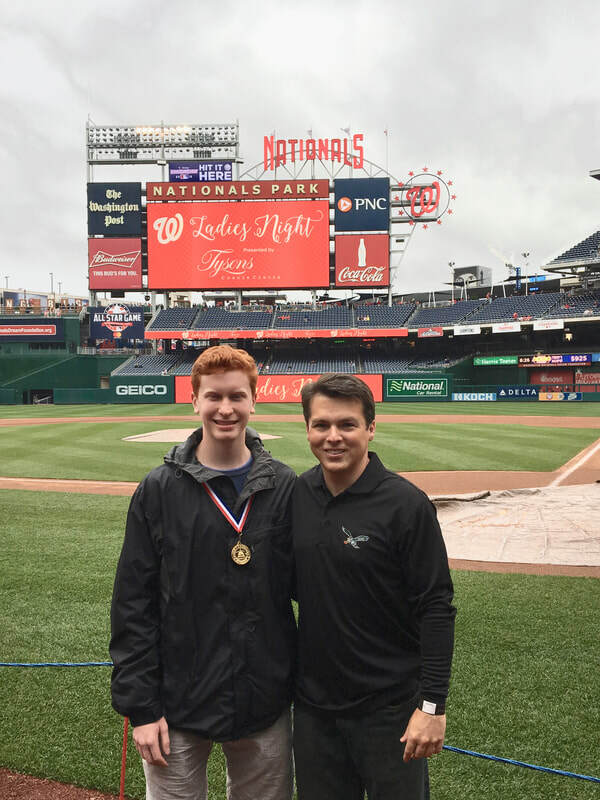 Matt Hladczuk was awarded the Congressional Award Gold Medal on June 21, 2018. The ceremony took place in the Russell Senate Office Building in the Kennedy Caucus Room, a room of historical significance in our country. Named for Senators John F. Kennedy, Robert F. Kennedy and Edward M. Kennedy, there have been many important Senate investigations in the Kennedy Caucus Room including the sinking of the Titanic, the Teapot Dome scandal,Pearl Harbor, Army vs. McCarthy, the Vietnam War, and Watergate. ​The Congressional Award Gold Medal is awarded for outstanding civic volunteerism. It is the highest honor awarded to youth ages 14-24 by the United States Congress. The Congressional Gold Medal recognizes initiative and commitment to public service. Each participant must spend two years or more completing at least 400 hours of community service, 200 hours of both personal development and physical fitness activities, and a four-night Expedition or Exploration. For this achievement, Gold Medalists are recognized at the U.S. Capitol by their Member of Congress with the presentation of The Congressional Award Gold Medal, a medal struck by the United States Mint.